Pottery Class ~ Learn, Live, and Explore! Time to get creative! 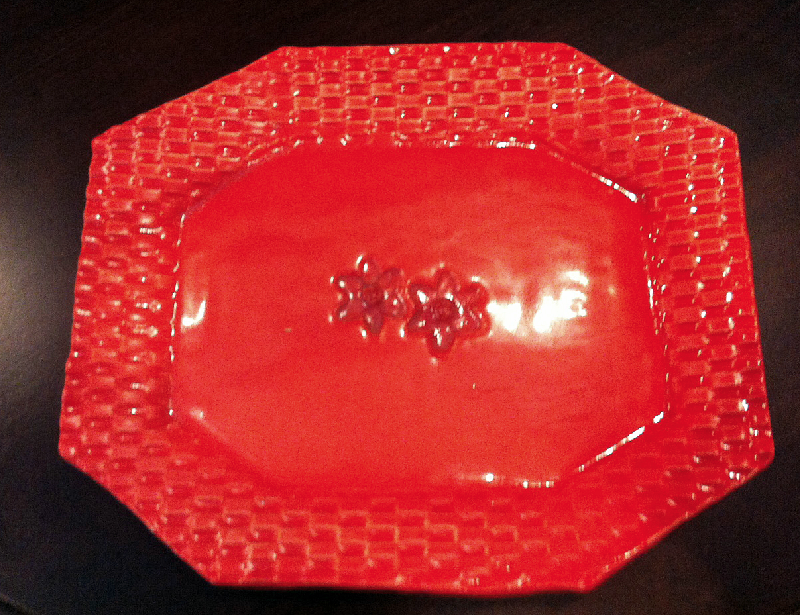 I recently took a pottery class at VisArts in Rockville, Maryland. Originally, when I read the description, I thought we would be throwing clay and using a wheel to turn out some projects. It was actually more of a clay molding class, where we had the option of making various shaped platters or a four footed vase. 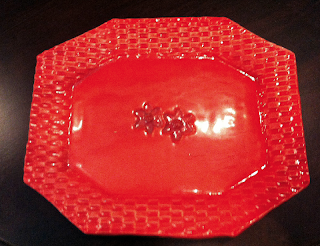 I opted for the octagonal shaped platter because of my preference for clean lines. First, we were given boards with prepared slices of clay that were rolled out pretty thick in order to accomodate the inevitable mistakes we, as beginners, were going to make. 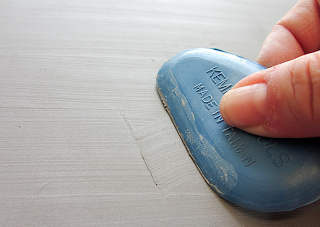 Step 1 with the clay was to take a plastic "rib" tool and smooth out the surface of the clay on both sides. 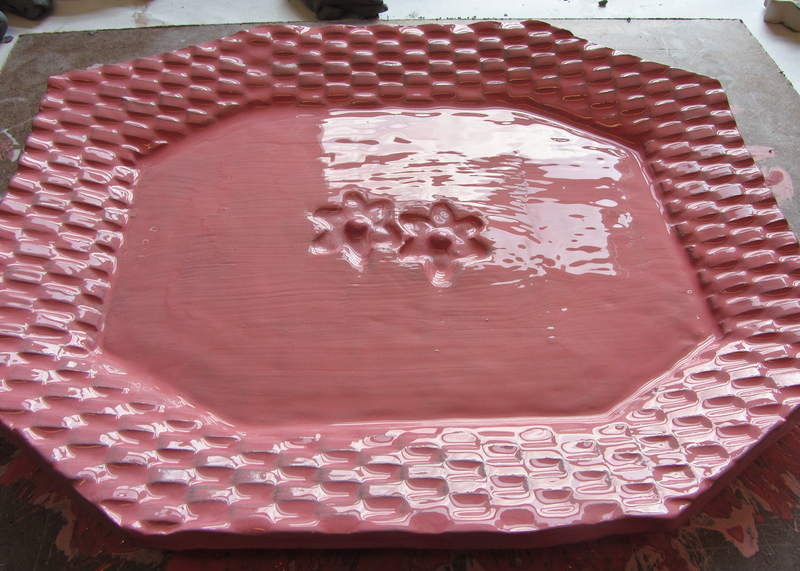 We were told that this serves to compress the clay molecules and prevent cracking in the kiln. 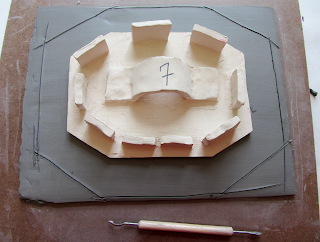 After selecting my project shape, I used a template to outline in the clay the outer edges. 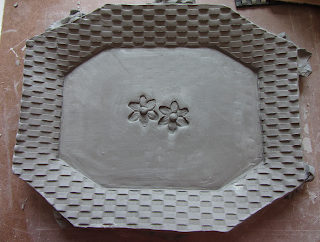 Then we centered clay molds inside that outline to sketch and define the plate border. 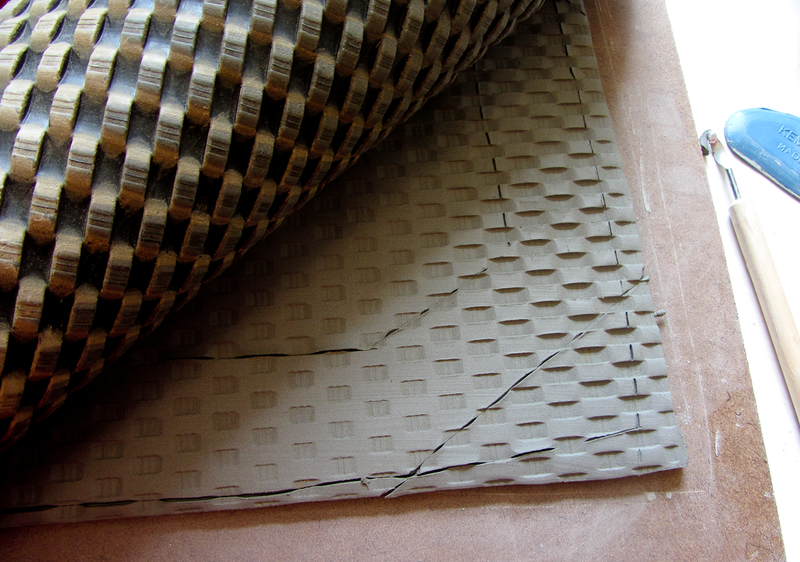 Next, I had to select a texture using rubber mat templates. 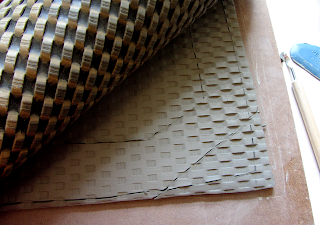 I went with a basket weave, but I saw some neat plates being made using a wood grain texture as well. 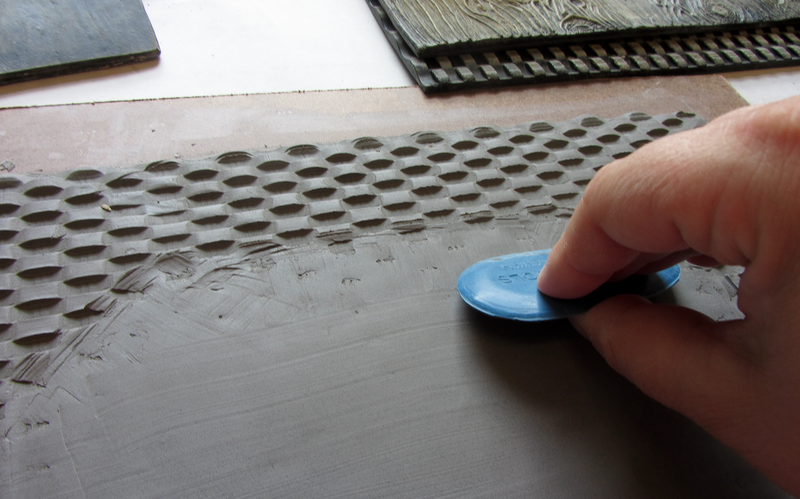 Placing the rubber mat, texture side down on our clay, we applied generous pressure using a rolling pin to imprint the clay. I decided that I wanted to clean up the center of the plate, so I used the rib to smooth it out. Once smoothed out, I had to manipulate the flat clay into the plate shape, with the raised edges. We did this by lifting the clay from the board and placing it on a piece of foam rubber. 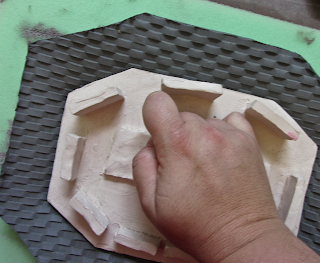 Taking the clay mold I used to outline the center of the plate I gently pushed down the center to gain the desired angles for the edges. For a little added decoration, I decided to stamp two flowers in the center, then add balls in the middle using the "score and slip method" - scratching the surface of the joining sides and encouraging the molecules to bind with a little water. The final step before firing was to do an underglaze. I chose red, as opposed to my normal favorite color blue, to shake things up. 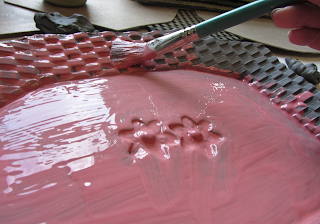 I tried to add a little detail with different shades of red in the flower, but it wasn't working as well as it does when I am painting on dried and pre-fired pottery. Two weeks later, I picked up the fired product from VisArts, and I have to admit that I hate it. They did not apply a top, glossy glaze, so it looks like a hideous elementary school project. There are also very aesthetically unpleasing raised marks on the plate where it rested on spikes in the kiln. Oh well, now I have an excuse to throw a Greek dinner party just so I can yell, "OPA! ", and smash this project on the ground. And from now on, I think I'll stick to the paint-your-own pottery studios.